SHOUT-OUT TO DANCERS! North Bay Stage Company is currently looking for dance acts to perform in this year’s Spring Dance Festival at the Luther Burbank Center on March 3rd, 4th, and 5th. Looking for both solo and group acts of all dance styles! Please email info@northbaystageco.org if interested in performing with subject line Spring Dance Festival, or forward to friends and family. Directed by Melinda Murray. 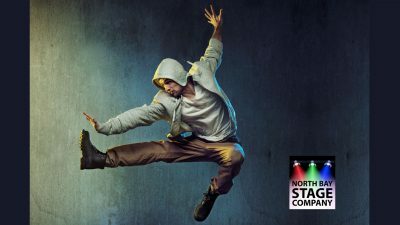 Local artists and choreographers will showcase contemporary and classical technical skills in dance with a diversity of styles and interesting themes at the weekend event – Ballet, contemporary, jazz, burlesque, swing, and hip-hop are just a handful of dance forms that will delight audiences at the event. There will be something for everyone who attends. DATES/TIMES: Performances: Mar 3rd, 4th, and 5th* (8pm, or *Sunday Matinees 2pm) at Luther Burbank Center for the Arts – East Auditorium. North Bay Stage Company, a non-profit organization and resident theatre company of Luther Burbank Center for the Arts.